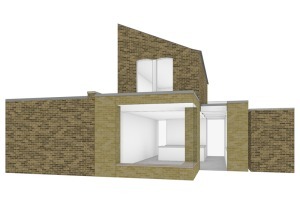 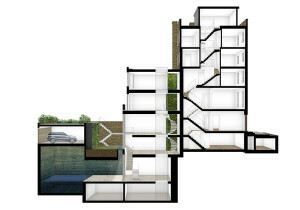 New commission for the refurbishment of a small townhouse in Hackney. 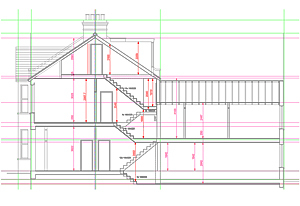 The completed loft conversion with large dormer window and view towards the rear garden. 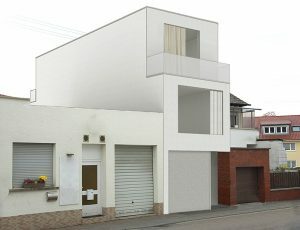 A calm white finish relating naturally to the render of the existing house seemed most appropriate in this case. 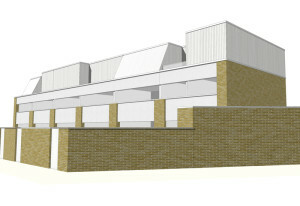 The white brick detail was introduced in response to a similar feature on the front of the main house. 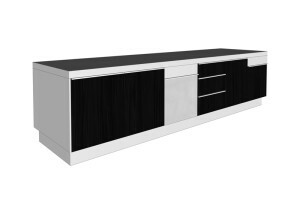 It gives the added volume a discreet sense of independence while referencing existing qualities and enhancing the overall new situation. 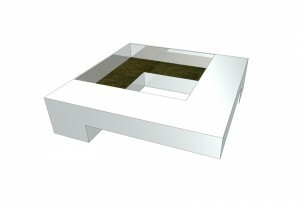 3D sketch for the complex first-floor bathroom wall. 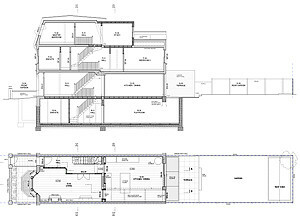 Bath, toilet, hanging wall storage and a retractable outward-folding shower screen combined with hidden pipes and an inevitable boxing for the new stairs to the loft were all combined into a calm geometrical solution of dividing rectangular shapes and elements. 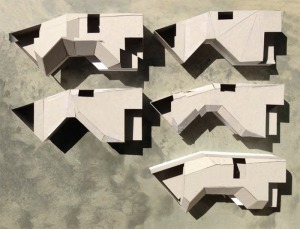 Facade development. 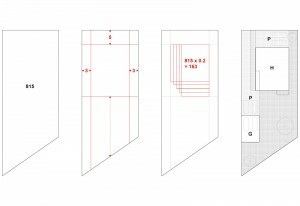 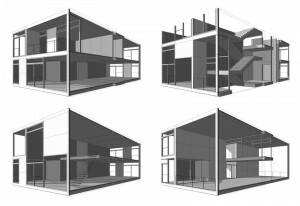 A systematic study from testing various opening shapes and sizes to different combinations of facade and window frame materials. 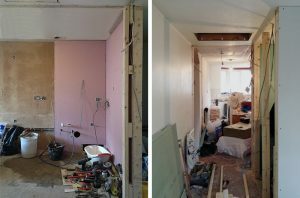 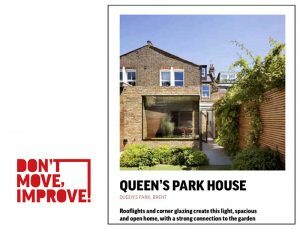 Don’t Move – Improve! 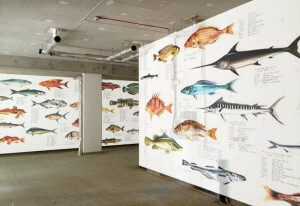 2018 exhibition and magazine. 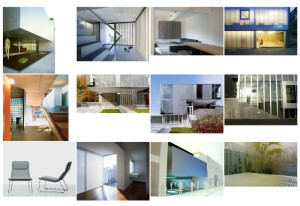 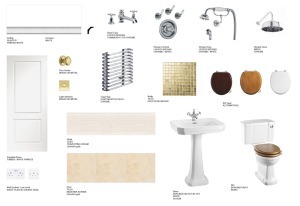 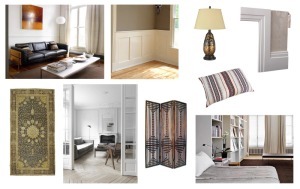 A selection of inspirational images setting the design direction for the new interior. 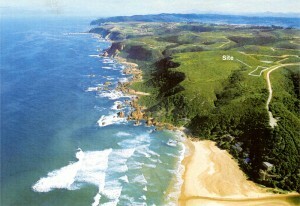 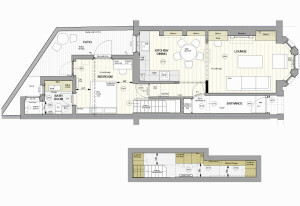 The concept consists of mainly two aspects. 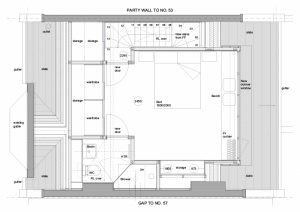 On the one hand, the private areas incorporating bedrooms, ensuite bathrooms, and dressing spaces as more-or-less enclosed spaces. 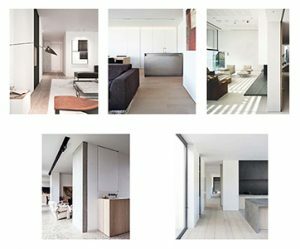 Secondly, an open succession of ‘public’ spaces free-flowing in between and throughout the entire flat with a gallery-like feeling. 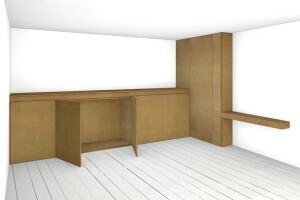 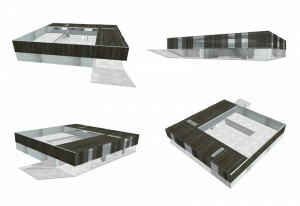 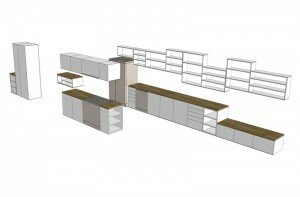 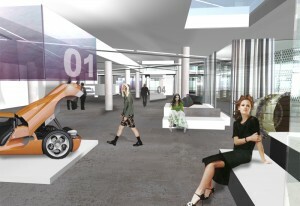 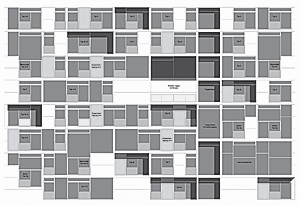 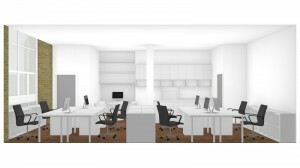 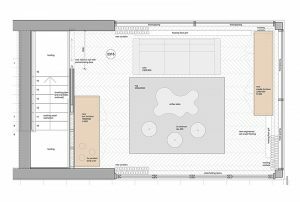 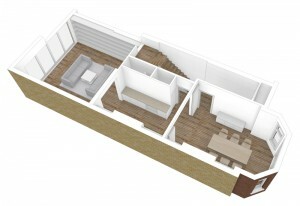 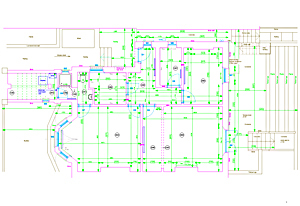 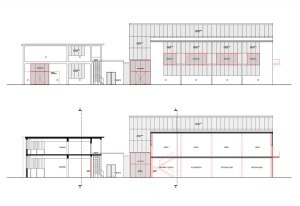 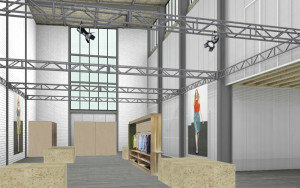 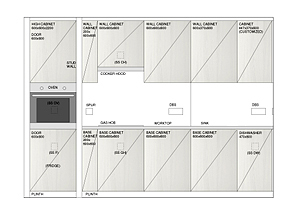 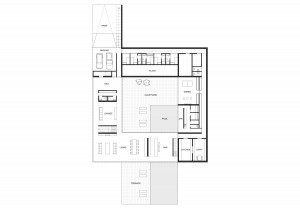 An extensive interior layout design concept for a large warehouse flat refurbishment in central London. 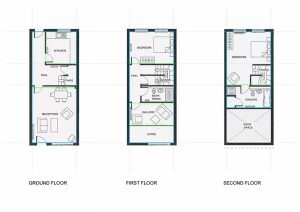 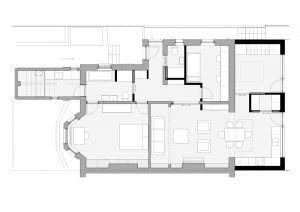 Many different layout options were investigated, ranging from less to more invasive, from a standard-room to full open-plan arrangements. 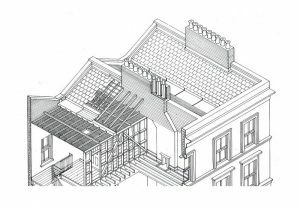 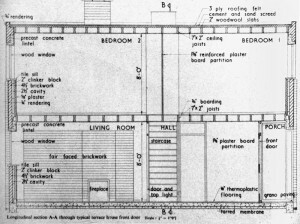 A schematic drawing of a classic London ‘butterfly roof’ coincidentally almost exactly resembling the one of the clients’ house. 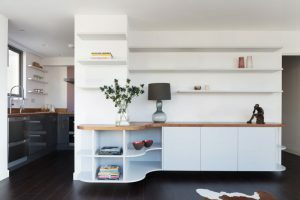 The finished flat refurbishment by interior designers London Contemporary including a bespoke sideboard/shelf combination as the new centerpiece of the living room. 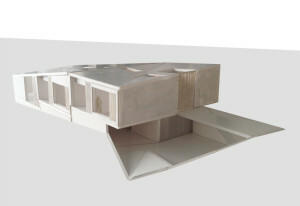 The rounded form of the furniture responds to the open semi-circle glass facade of the living room. 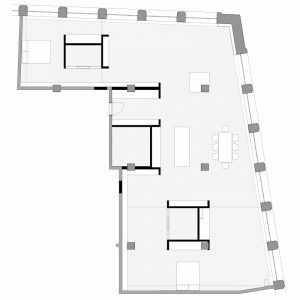 By being part open and part closed and accessible from all sides it relates to all areas of the space. 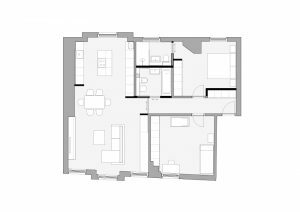 Coming from the hallway and into the living space, one is guided along towards the dining area and into the recessed kitchen space. 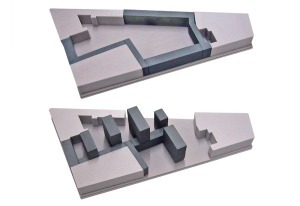 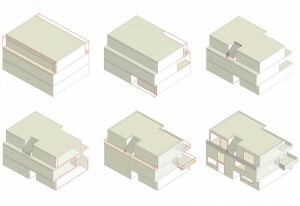 Schematic 3D image showing the insertion of the modern narrow new build into this German rural small town vernacular. 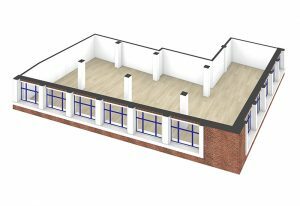 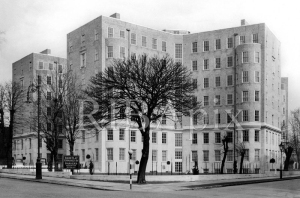 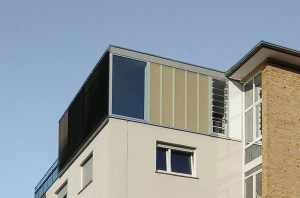 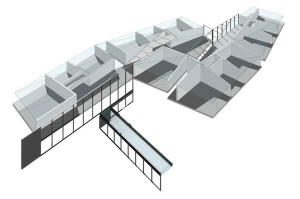 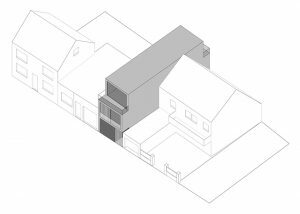 The development of the volume is strictly based on existing eaves heights, max allowed roof levels and a stepped back top floor in line with existing roof angles. 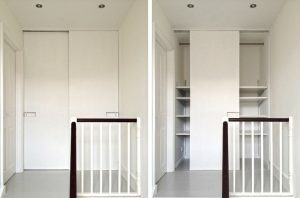 Bespoke fitted wardrobe furniture combining a low-level clothes hanging come sideboard solution, the hidden bedroom room access door, a dressing table, and tall shoe storage to the hallway on the other side. 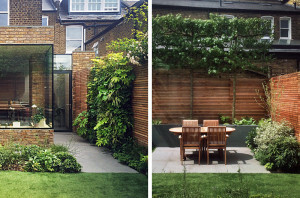 Architecture and garden design go hand in hand. 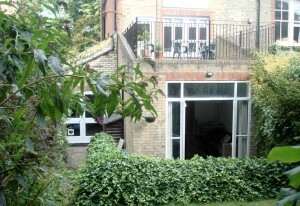 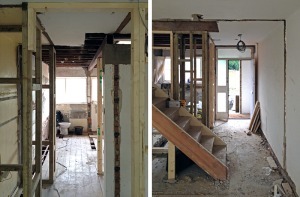 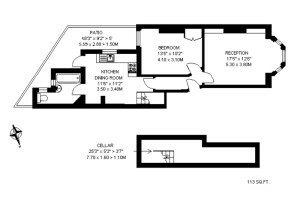 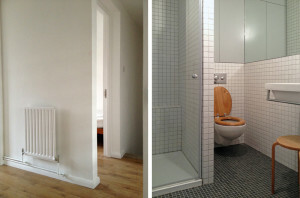 Survey of a Victorian ground floor flat in West London. 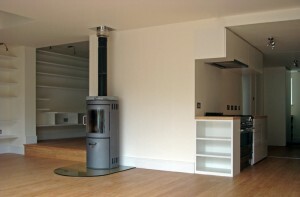 The finished ground floor extension with its generous open plan kitchen and dining space. 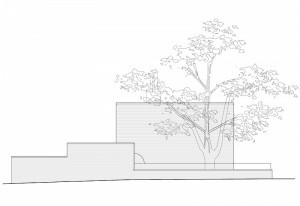 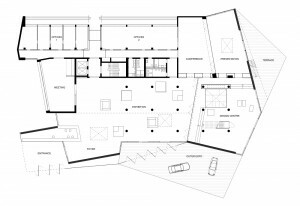 The house connects to the rear outside in a straight axis of movement from the existing main house through the former side return area with a row of roof lights above and a generous garden door. 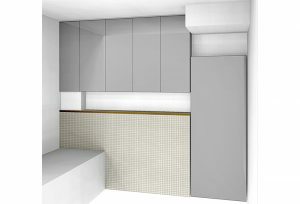 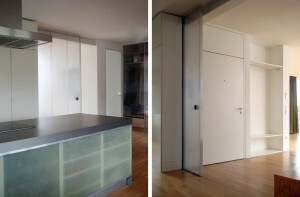 Located at the far side along that line is the functional kitchen storage wall that incorporates a small study. 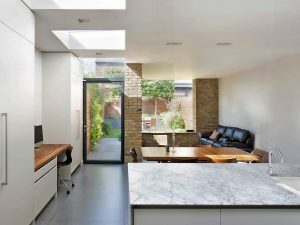 A freestanding kitchen island with a marble worktop faces the dining area in the centre of the room. 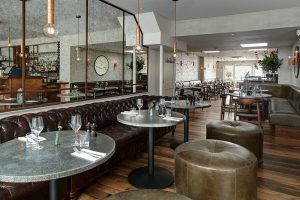 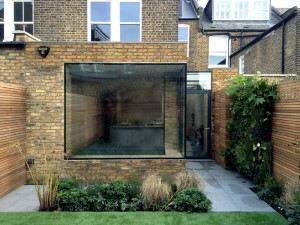 Closest and strongly related to the exterior and garden is the sitting and tv area with exposed brick walls and a large frameless window over a long L-shaped seating bench. 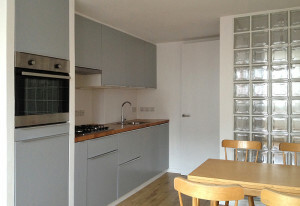 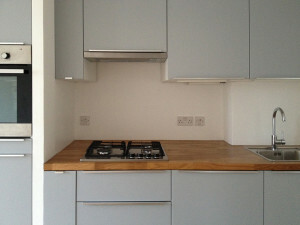 A great example of a plain IKEA kitchen with some clever detailing and bespoke worktop. 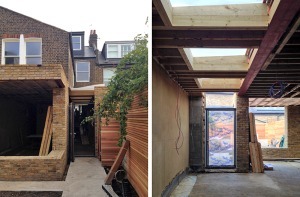 While some finishing works on the interior remain the newly added volume of the rear garden extension has been successfully completed. 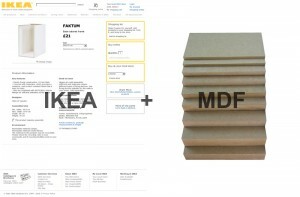 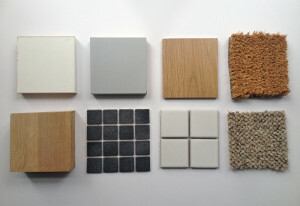 Nice palette of affordable finishes. 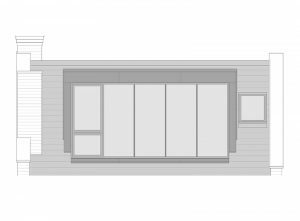 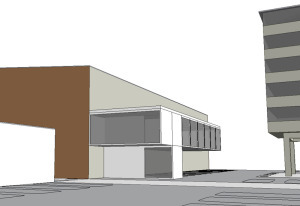 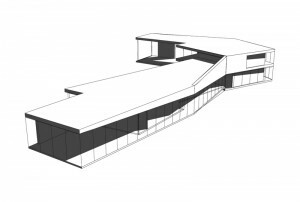 The proposed extension with different facade and cladding options. 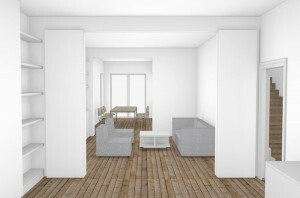 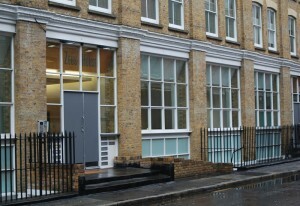 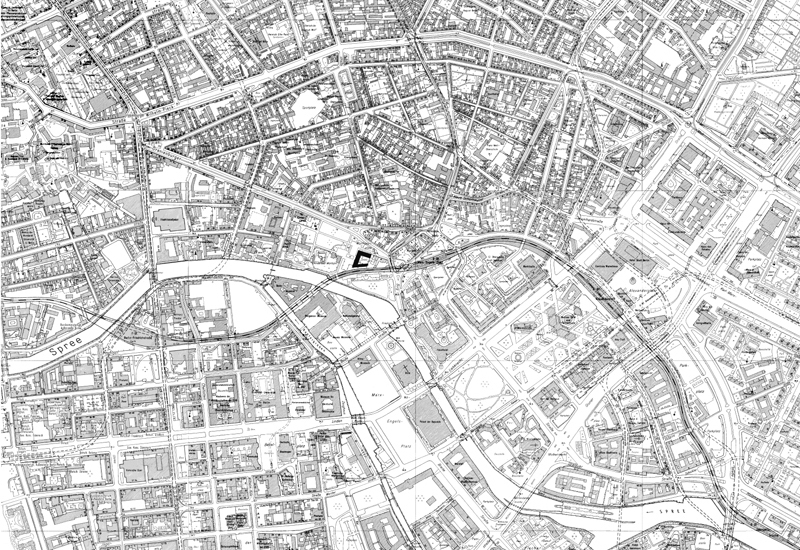 Commission to develop an interior/furnishing concept for a small branding and design agency in central London. 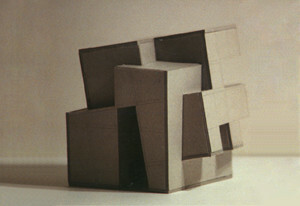 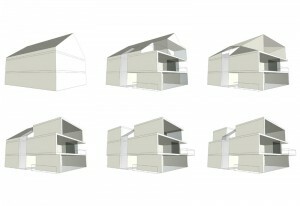 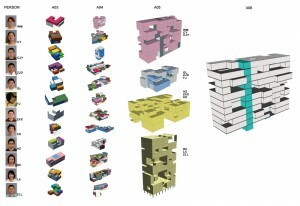 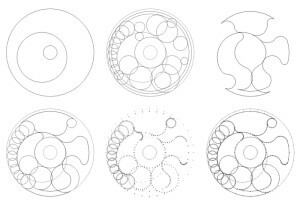 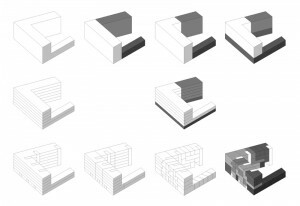 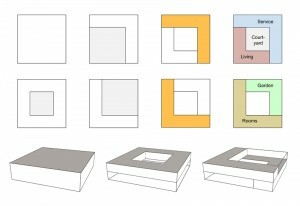 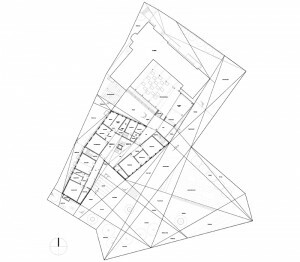 A systematic analysis of the existing house and volumetric development of new geometry. 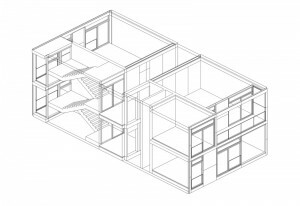 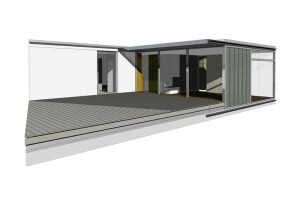 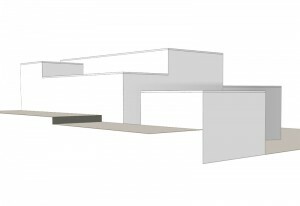 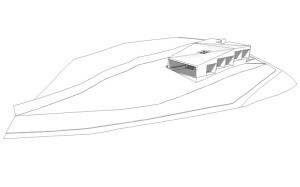 Volumetric design study for a refurbishment and roof extension of a private villa in Germany. 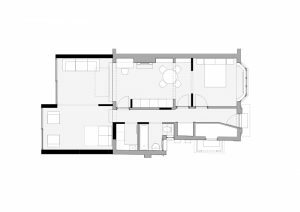 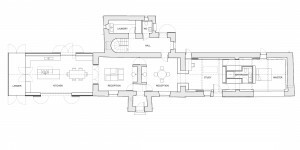 Appointment to design and develop the re-organisation and extension of a small flat within an existing victorian house in North London. 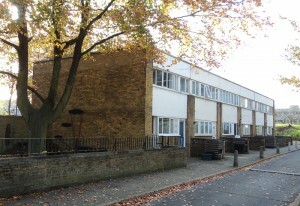 The house is part of a state-of-the-art housing development of its time by famous British post-war architects Powell & Moya. 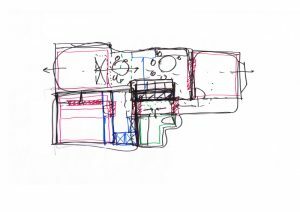 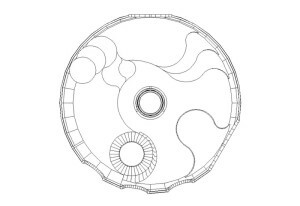 The design approach will be a careful translation of the functional character of the original design into the 21st century while preserving/enhancing the original identity of the house. 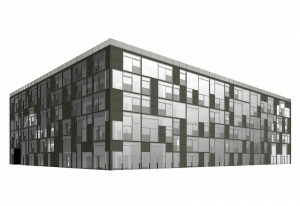 Final renderings of the apartment building at planning stage. 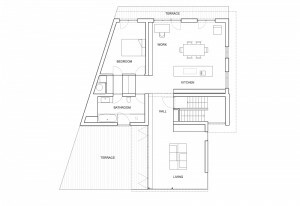 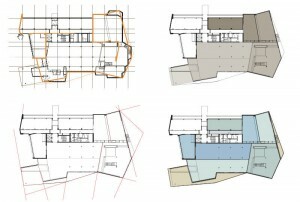 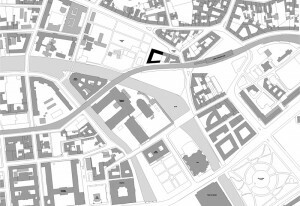 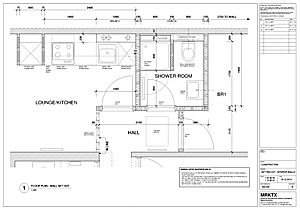 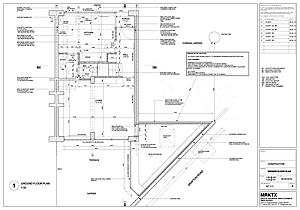 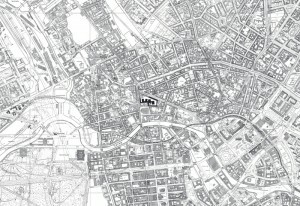 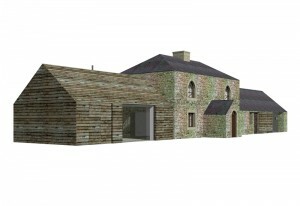 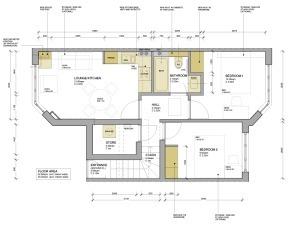 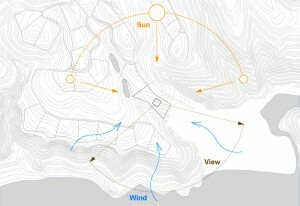 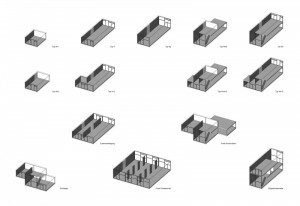 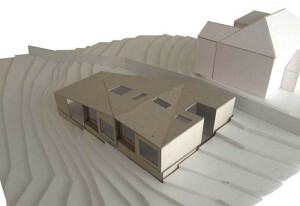 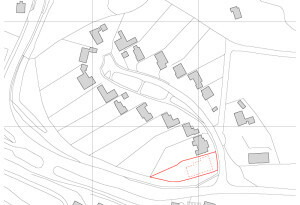 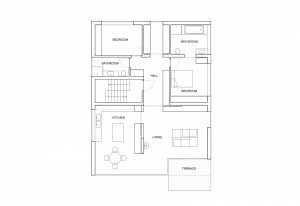 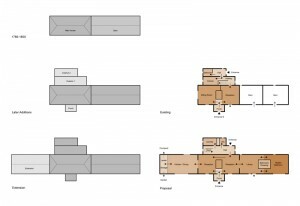 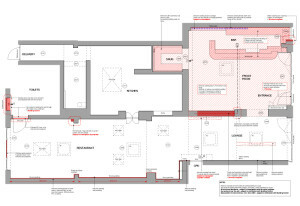 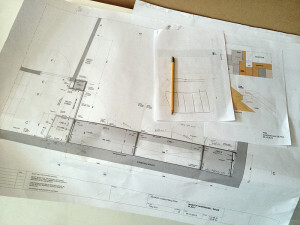 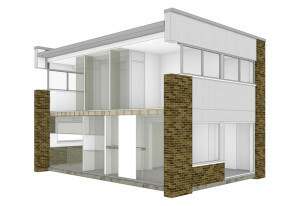 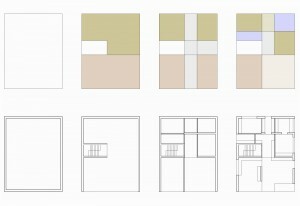 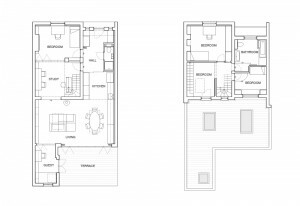 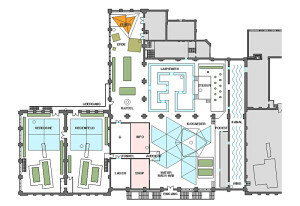 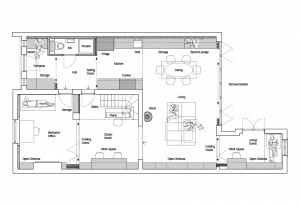 Plans, sections and elevations as part of the planning application. 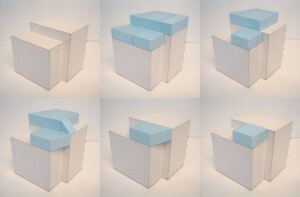 From simple block to complex arrangement. 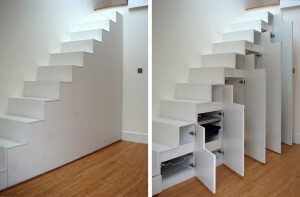 More photos of some special interior details and storage solutions. 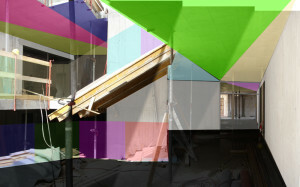 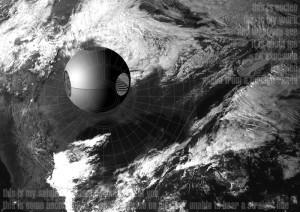 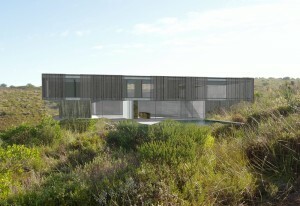 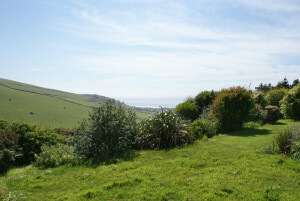 Photo collages of the final design sitting in its sloped coastal environment (at Planning stage). 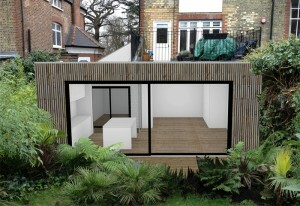 A project by Found Associates. 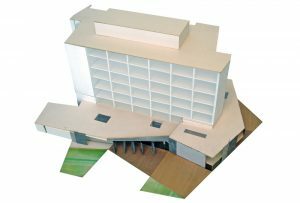 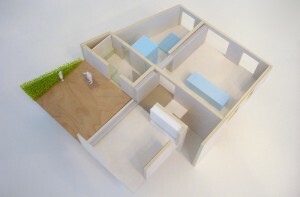 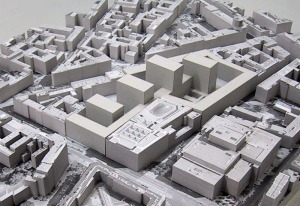 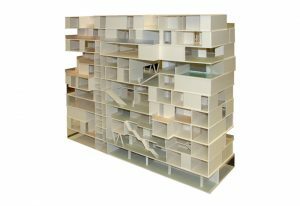 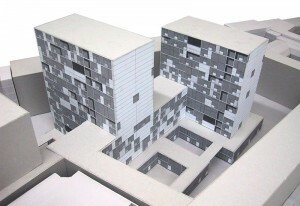 The final group model of the project in scale 1:50 after seven weeks of intense design work. 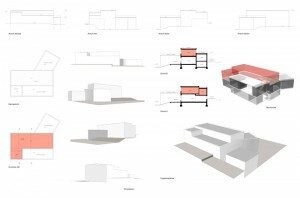 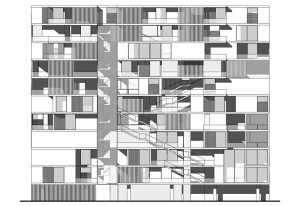 Post-rationalized display of the evolutionary design development from each student’s individual dwelling through to the final group result. 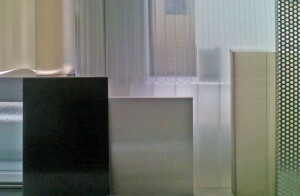 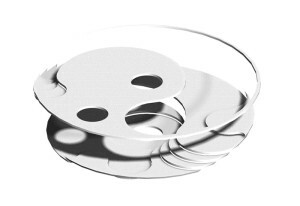 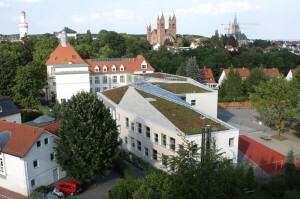 A strong design incentive was the use of industrial translucent materials. 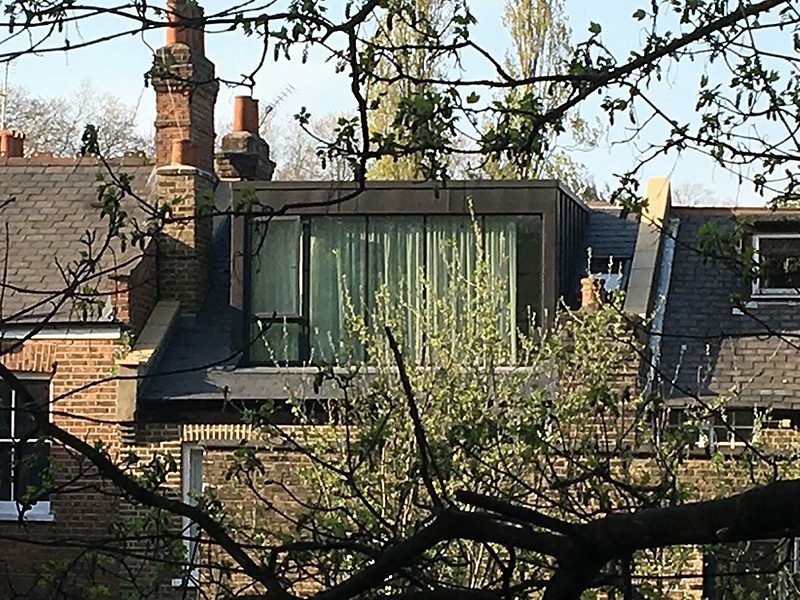 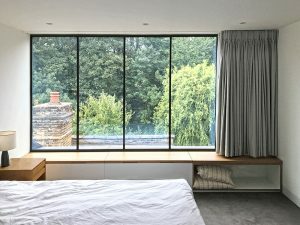 From the facade of the roof extension to its overhanging terrace roof, internal doors, and furniture fittings, all the way to the wetroom wall linings, different kinds of innovative sheet and panel materials were installed throughout the project.